Now in its third generation, Cartmell-Davis Funeral Home is an independent family-owned and operated funeral home. The firm is owned and operated by Kathy Cartmell Sirrico and John J. Vincent, Jr. who joined the firm in 1995. Together they continue the legacy of care and compassion through personal experience and understanding to serve the people of the greater Plymouth area and surrounding communities. 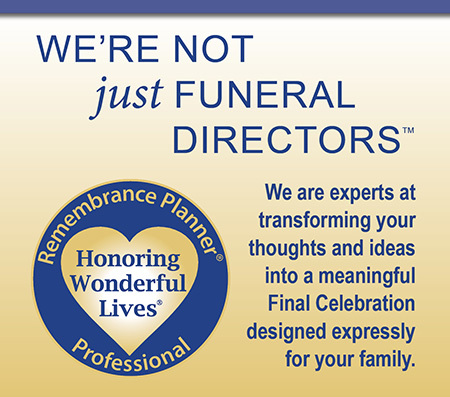 We believe that it's our job to provide extraordinary, personalized opportunities to help you celebrate the life of your loved one. Our hope is that you find joy in the way you choose to honor and remember that wonderful life.